CDG is one of Leading REACH Compliance Certification company of India. REACH compliance restricts placement of unwanted chemicals in European market. We are offering a wide array of REACH Certification Services. 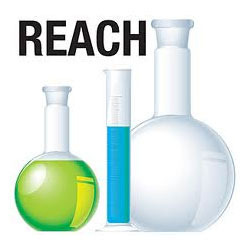 REACH is considered as the world's strictest chemicals law. In addition to this, it is one of the largest-ever EU laws and it will shift responsibilities of collecting chemical security information from regulators to enterprises. Potential registrants who, for the first time after 1 December 2008, manufacture or import a phase-in substance in quantities of one tonne per year or more can still submit certain information to ECHA (late pre-registration) and benefit from the extended deadlines. Producers and importers of articles with an intended release of a substance can also submit a late pre-registration. Late pre-registrations have to be submitted within six months after the manufacturing or importing of the substance that exceeds the one-tonne threshold and no later than twelve months before the relevant registration deadline. Therefore, the late pre-registration period ends on 31 May 2012 for substances to be registered by 31 May 2013, and 31 May 2017 for substances to be registered by 31 May 2018. Late pre-registration is only obligatory if companies want to benefit from the extended registration deadlines. Companies can also decide to register their phase-in substances immediately, but in this case it is necessary to first submit an inquiry.After pre-registration and subsequent discussions on the sameness of the substance, the company becomes a member of a Substance Information Exchange Forum (SIEF). If you manufacture or import into Europe a substance in a quantity greater than 1 tonne/year then you are likely to need to register that substance under the REACH regulations and you must start working on your registration dossier as soon as possible. Patrons can avail from us a remarkable REACH Registration Certification Services. CDG Inspection provides comprehensive solution for REACH regulation (Registration, Evaluation and Authorization of Chemical Substances - EC1907/2006) compliance, which is mandatory for continued sales of chemicals and products in the European Union. Chemicals manufactured in or imported into the EU in excess of one tone per annum must be registered and it aims to improve the protection of human health and the environment through the better and earlier identification of the intrinsic properties of chemical substances.